Attack of the Creature from Beyond the Forbidden Island! 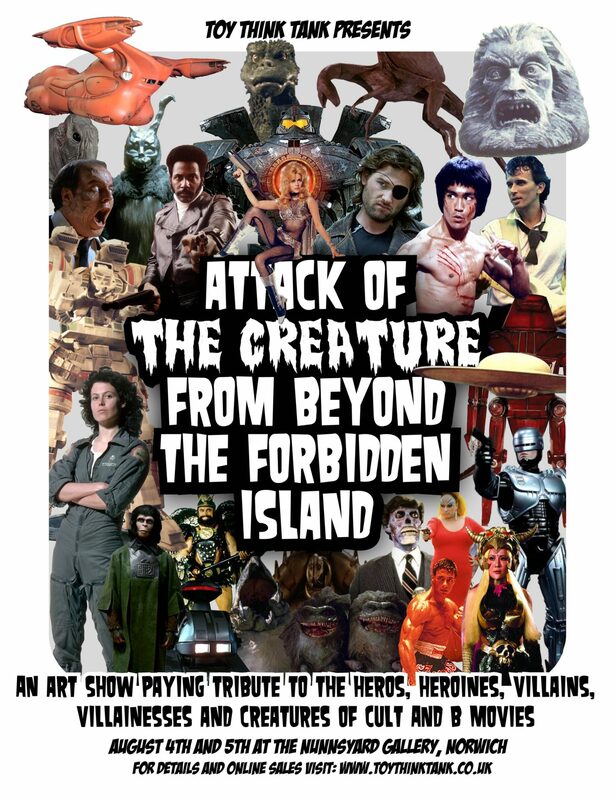 Is a group art show paying tribute to the Heroes, Heroines, Villains, Villainesses and Creatures of Cult & B Movies. I am super excited to be part of this UK based show inspired by things close to my heart. Mounted by the new UK company Think Tank it proves that events don’t have to happen in London to be cool. I will have several pieces in the show. Including some new Copper Creeps characters in very limited numbers. This entry was posted on Wednesday, July 11th, 2018 at 4:01 pmand is filed under . You can follow any responses to this entry through the RSS 2.0 feed. You can leave a response, or trackback from your own site.